Language : Tamil (language no problem). Description : The character is an Ultra Modern Girl but living in a district headquarters. Her father is a district collector. She is forthright, loving and kind and very studious. She is fun loving and easy go lucky girl with a rich family background. The girl should reflect the image of a high society girl. Description : The character is very intense, rich and doesn’t care about the world attitude. He is arrogant but somewhat soft looks. Possessive and highly egoistic person. He is asmoker. Another hero is a smoker and drinks. He is fond of women, but hides his intensions or passion beneath his heart. Age Group : All characters are between the age of 18 to 24 Years. These girls play an equally important role alongside of the Lead Actress. They all are college class mates/friends in the movie having an equal amount of screen timing. Age Group : All characters are between the age of 22 to 28 Years. These boys play an equally important role alongside of the Lead Actress. They all are college class mates friends in the movie having an equal amount of screen timing. Age : 20 to 28 Years. Screen age is 25 Years. Description : This character plays an important role in the entire movie. The opening scene of the movie is shot on this character itself. Moreover, there is time to time flashbacks are shown in the entire movie. She is a seducer. Silently roping in male students to satisfy her lust. 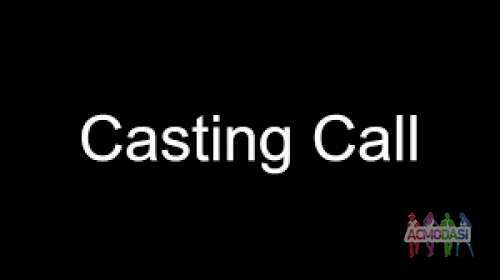 This upcoming film audition for SDR Movies, Chennai – is solely handled by the company itself directly. Auditions are conducted in Chennai. You should apply properly with your full biodata and only presentable professional photographs. Our team will call you once we receive your application. Our team will check your voice and language quality. If you have a nice command on the Language then we share a self audition script with you. Send us the video of your audition. All the videos finalized by our Casting Director will be put for second round. The applicants shortlisted for second round should report to the live audition on the date and time mentioned by our team.